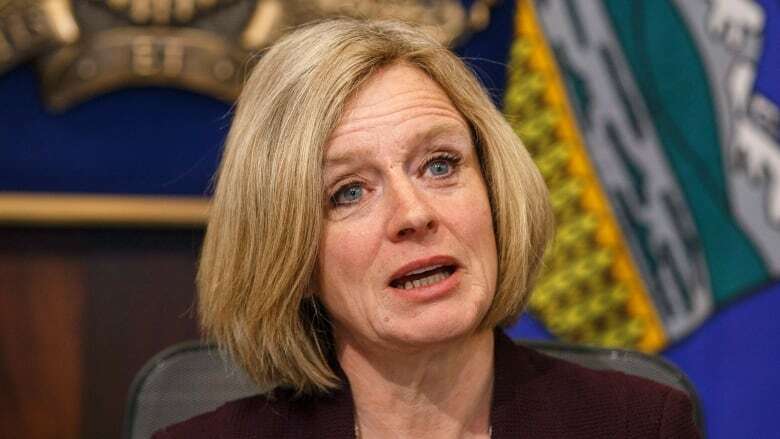 Alberta Premier Rachel Notley says the province will buy the Trans Mountain pipeline project outright, if that's what it takes to get it built. On Tuesday morning, Notley said the federal government should be willing to put money into the project as well. Then, in a statement issued later in the day, the premier said buying the pipeline is one of many options being considered to get construction ramped up on the project, which would triple the amount of oil going from Alberta to the B.C. coast. Notley said over the weekend the province was looking at taking an equity stake in the line, but didn't talk about buying it completely. Kinder Morgan has given the federal government until May 31 to offer concrete assurance the line will get built, and Notley has repeatedly called on Prime Minister Justin Trudeau to take action. "We are considering a number of financial options to ensure that the Trans Mountain expansion is built, up to and including purchasing the pipeline outright if were to come to that," Notley said Tuesday in the statement. "But it is not the only model we're considering." Faced with stubborn opposition in B.C. and an ultimatum from Kinder Morgan, Notley initially suggested on Sunday the Alberta government might invest in the pipeline. In an interview Tuesday with CBC Radio's Edmonton AM, the premier said the federal government should be willing to do the same. "They've stepped up for other industries in other parts of the country and the workers that rely on those industries to support their families. And our view is that they're going to have to do it here soon." Notley pitched the idea of backing the pipeline expansion after Kinder Morgan announced it is suspending all non-essential spending on the project in an effort to reduce the risk to its shareholders. The premier said on Tuesday officials from her government are working with the Houston-based company, but declined to provide details, saying she did not want to "negotiate through the media." Kinder Morgan Canada's CEO Steve Kean, speaking to analysts on Monday, said he was open to the idea but added that the company still needs clarity on building through B.C. Federal cabinet ministers gathered Tuesday at an emergency meeting to find a way to convince Kinder Morgan to go forward with the project. Government officials did not give any specific solutions to the pipeline standoff following the meeting. The project was approved by the Trudeau government 17 months ago. The federal government can force the B.C. government to "back off" either through the courts, legislative changes or by "backstopping the financial risk" to Kinder Morgan investors, Notley told the CBC. "We're getting to a really critical point," she said. "I don't know why they didn't move faster, but I do know that they have the ability to do it now and fix this problem, and they need to. "Ultimately [the pipeline] has a much bigger national implication in terms of how we function as a country. It's time the federal government come in and act like the federal government."